Education Outside: We are proud to partner with Education Outside, an innovative program that brings science and nature directly into the hands of Harvey Milk students. The PFC provides funding for a full-time outdoor instructor who teaches science and environmental literacy in the Harvey Milk school garden. Each classroom participates weekly in Education Outside as part of the regular school day. Check out our Education Outside flyer to find out more! Teacher professional development: Our teachers are one of our most important assets at Harvey Milk. There are many ways the PFC supports them but one way is by supporting their professional development. In 2017 and 2018, the PFC provided funding for Harvey Milk staff members to participate in the prestigious Reading Institute at Columbia University’s Teachers College. These Harvey Milk teachers returned to our school community with skills, ideas, and knowledge that will help our students thrive as readers and writers. Check out our Teachers College flyer to find out more! SFArtsEd: We are proud to support SFArtsED’s Artists-in-Residence program, which places passionate artists with teaching experience inside dedicated public schools. 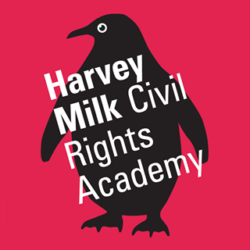 This program brings talented dance, music, and visual arts instructors to Harvey Milk for weekly classes. Check out our Annual Giving Campaign video to see SFArtsEd in action at Harvey Milk!